To enrich the lives of Jewish students so that they may enrich the Jewish people and the world. 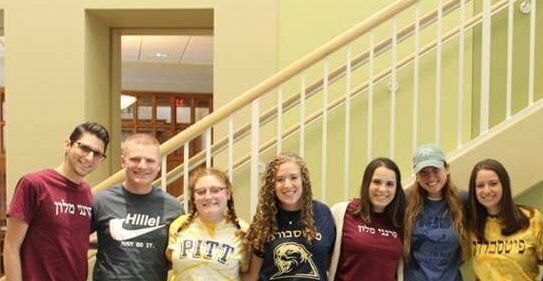 As the focal point for Jewish campus life for more than 2,500 Jewish undergraduate students (ages 18-22) in Pittsburgh, the Hillel JUC sponsors a wide variety of opportunities to engage in Jewish campus life that acknowledge that Jewish students have a diversity of identities and interests. Every Jewish student is welcomed and encouraged to participate in the array of programs, communities and immersive experiences that are supported and facilitated by the Hillel JUC. We are dedicated to creating a pluralistic environment for Jewish college students where they are inspired to grow intellectually, spiritually, and socially. 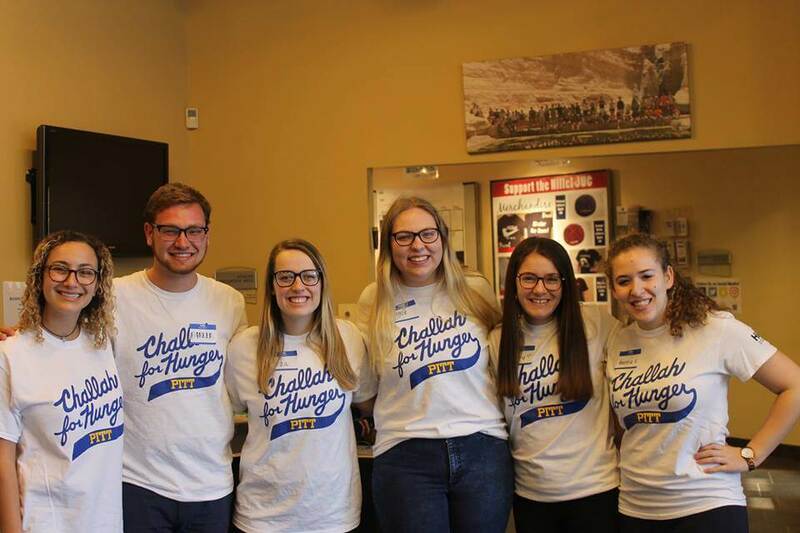 The Hillel JUC helps students find a balance in being distinctively Jewish and universally human by encouraging them to pursue tzedek (social justice), Jewish learning, and to support Israel and global Jewish peoplehood. The Hillel JUC is committed to excellence, innovation, accountability, and results. 1951 – B’nai B’rith Hillel Foundation was founded. The 1 room office was housed in the Young Men and Women’s Hebrew Association (YM&WHA) on S. Bellefield Avenue. 1958-1970 – Richard Rubenstein was the director of the B’nai B’rith Hillel Foundation and chaplain to the Jewish students at the University of Pittsburgh, Carnegie Mellon University, and Duquesne University. 1987 – B’nai B’rith Hillel relocates to new space at 160 N. Craig Street including an administrative suite, kosher kitchen, dining room to accommodate 50 people, a multipurpose lounge/chapel, and a workroom for students. 1994 – B’nai B’rith Hillel relocates to new space at 4551 Forbes Avenue. 1999 – The organization’s first strategic plan called for a new facility to better meet the needs of the university students. A $3 million dollar capital campaign began. 2001 – Following a successful capital campaign, the 12,500 square foot Mildred and Joseph Stern Building opened. 2001 – Jewish University Center of Pittsburgh was renamed to The Edward and Rose Berman Hillel Jewish University Center thanks to a legacy gift from Edward and Rose Berman. 2007 – The organization’s second strategic plan called for the introduction of a new initiative, J’Burgh. J’Burgh would focus on programming for Pittsburgh’s graduate students and young adults. 2014 – Hillel JUC is chosen as 1 of 3 pilot campuses nationally for a new three year Hillel International strategic initiative calledComprehensive Excellence, funded by The Beacon and Shapira Foundations. In 2016 the Hillel JUC are the winners of the award for Excellence in Impact. 2016 – The Hillel JUC are the winners of the award for Excellence in Impact by Hillel International.